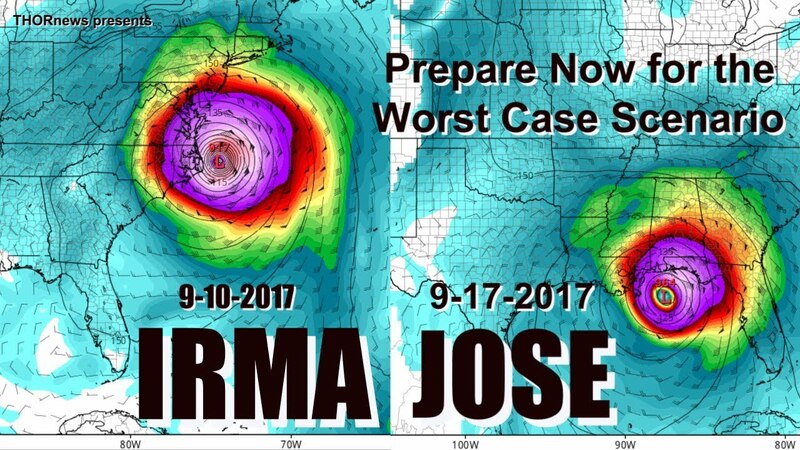 9/11/Irma Possible Cat 5/Double Impacts 7 Days Apart! Here in Florida, stores are already running out of supplies. Water supplies today are wiped out as truck loads meant for Florida were correctly diverted to Texas and Louisiana. If you are anywhere near a possible path of either of these two incoming storms, prepare NOW. This video from BPEarthWatch is an in-depth analysis of several models and where Irma is most likely to make landfall.